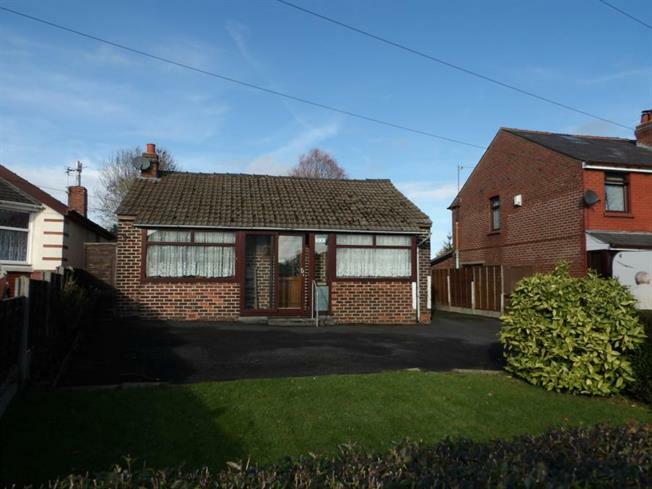 3 Bedroom Detached Bungalow For Sale in Chorley for £190,000. Detached bungalow with development opportunity, this detached true bungalow has more to offer than first impressions with a very large rear garden where plans have been drawn to erect two detached dwellings or could be used as an allotment for the keen gardener. The property itself offers extended accommodation and comprises of two/three bedrooms with one having a separate en-suite WC, lounge, dining room/bedroom three, kitchen dining room and separate family bathroom. Externally there is parking for several vehicles, detached double garage, front and very large rear garden. Also on offer with no chain and highly recommended to view.